Perfectly situated on Nantucket Sound facing south, the village of Hyannis is the quintessential Cape Cod town. Famous residents, a melting pot of restaurants, countless specialty shops and a nearby airport are just some of the things that make up the busiest village of Barnstable. As hectic as Barnstable Village is tranquil, Hyannis is known for its museums, activities, celebrations, scenery and award-winning cuisine. 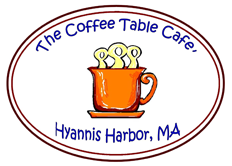 Hyannis was settled in the mid 1600’s by farmers and fishermen. Because of its location, Hyannis quickly became a busy shipping port and was even attacked by the British in the War of 1812. John F. Kennedy was probably the most influential resident and the Kennedy family has owned property in Hyannis Port since the 1920’s. Visitors will appreciate the easily accessible ferries to both Martha's Vineyard and Nantucket. The Duckmobile Tours, the Annual Figawi Race, The Cape Cod Maritime Museum and the JFK Hyannis Museum are just some of the requisite activities for Hyannis. No trip is complete without a tour of the Cape Cod Chip Factory!